Cole Swindell, a Platinum-selling recording artist and 11-time No 1 singer/songwriter, released his third album, All of It, for Warner Bros. Records/Warner Music Nashville in 2018 and it debuted at No. 1 on the Billboard Country album chart and No. 7 on the Billboard Top 200. The first single “Break Up In The End” became his 8th No. 1 career single as a solo artist. “Break Up In The End” was recently nominated for a Grammy® for Best Country Song and was named one of the best country songs of 2018 by Amazon, Spotify, Billboard and You Tube among others. 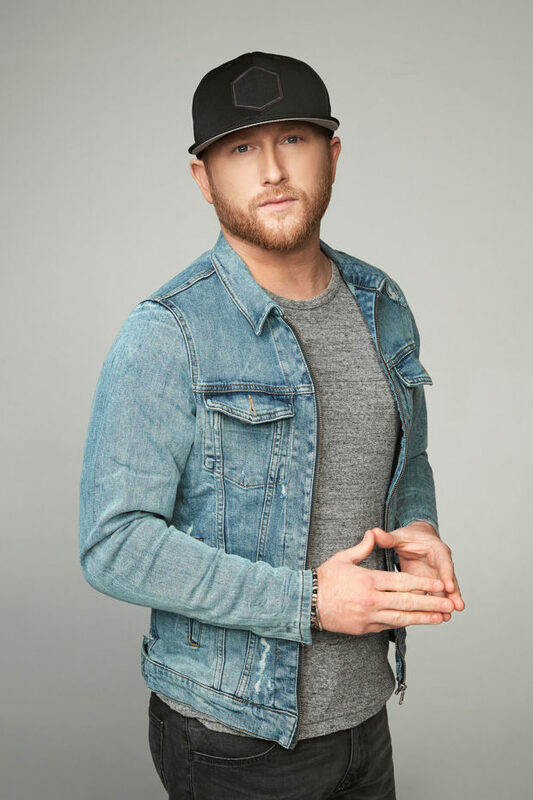 Swindell performed the hit single on last summer’s (2018) ABC Television special CMA Fest and when he headlined the NBC’s Citi Concert Series on TODAY (2018). Swindell debuted his current single “Love You Too Late” LIVE on ABC’s Dancing With the Stars and Jimmy Kimmel Live! the song was included on YouTube’s Best Country Songs of 2018. Since launching his career in 2014, Swindell has toured with the biggest superstars in country music including Luke Bryan, Kenny Chesney, Jason Aldean, Florida Georgia Line, Dierks Bentley and has sold out all four of his Down Home Tours in support of each of his Down Home Session EPs (I, II, III and IV). Swindell wrapped his second career headlining tour in December–Monster Presents, Cole Swindell & Dustin Lynch on the Reason To Drink…Another Tour with Lauren Alaina and in 2019 will hit the road again with superstar Luke Bryan on his Sunset Repeat Tour. The Georgia native has played on some of the biggest stages in the world including making history being the first-ever live radio and TV broadcast from the 57th floor terrace of 4 World Trade Center, overlooking the Freedom Tower where he performed his hit “You Should Be Here.” He has played high-profile national television performances on NBC’s Citi Concert Series on TODAY, ABC’s Good Morning America, The Ellen Degeneres Show, Tonight Show starring Jimmy Fallon, Jimmy Kimmel Live!, ABC’s CMA Fest specials, CMA and ACM Awards, MLB Network and Sports Illustrated among others. Contact Dixie Owen for inquiries about Cole Swindell.